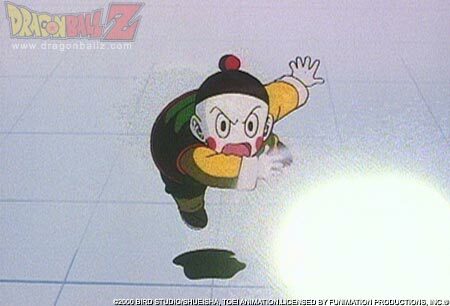 Ah, Tien's humble little mime-like buddy. Chiautzu also knows ESP, but he is awfully weaker than the others. We first see this in DBZ when he honorably grapples onto Nappa's back and self-destructs, but is not strong enough to put a stratch on him.